Viewing topic "Fairlight library for moxf"
I haven’t tried that library, so I can’t offer any opinions about it. 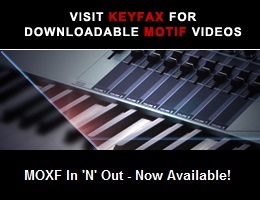 File format: .X6V – compability with MOXF-6 / MOXF-8, Motif XF (all models) and Montage. which isn’t true (presuming “compability” is supposed to say “compatibility"). A .X6V (MOXF All Voice) file won’t directly load into a Motif XF.